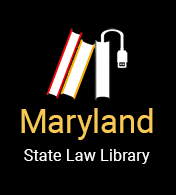 In Maryland, companies that offer debt settlement services must register with the Commissioner of Financial Regulation and pay a registration fee. “Debt settlement services” are defined as any service that helps consumers renegotiate or settle debts between a consumer and a debt collector or creditor. Debt settlement services are different from debt management services under Maryland law. Debt management services take payments over a long period of time and distribute the payments among the person's creditors. Debt settlement services negotiate to settle a consumer's debt. Makes no more than six setllement payments for each debt. Has a separate bank account to hold money for its customers to use to pay off customer debts. Works to lower the debt principal with creditors. If the debt settlement service establishes a bank account for holding its customer’s money, it must file a $50,000 surety bond with the Commissioner of Financial Institutions. A violation of this law is an unfair or deceptive trade practice under Maryland law. Anyone who violates the law is subject to fees and penalties associated with the violation.